The eradication of smallpox was possibly the greatest victory of science over disease in the history of mankind. Thanks to a determined, worldwide vaccination effort, led by the World Health Organization, the last known human smallpox case occurred over 30 years ago, in Somalia in 1977. The WHO declared smallpox eradicated in 1980. But smallpox isn't completely gone. That's because two large government laboratories, one in the U.S. and one in Russia, insist on maintaining stocks of the smallpox virus (called variola). In the U.S., the smallpox virus is kept at the Centers for Disease Control in Atlanta. In Russia, it's at the Vector lab in Siberia. Why keep this incredibly deadly virus around? The scientists at the CDC and in Russia give the same answer: more research is needed to develop better vaccines, to protect us from a bioterrorism attack. "We still have work to do to protect the public," said Ali Khan, a smallpox researcher at the CDC, quoted just last week in the Washington Post. They've been making this argument for 30 years now, but they are wrong. The only thing they need to do is to destroy their stocks of smallpox, and wipe out this virus once and for all. This seems like an obvious thing to do, but it's obvious now that the scientists whose jobs depend on keeping the smallpox around will never agree to destroy it. Nor will their bosses at the CDC. Yet keeping the smallpox around dramatically increases the risk that a deranged person will get his hands on it and release it in the population. A smallpox outbreak would indeed be a frightening scenario: smallpox has a mortality rate of 30-35%, and it has been called one of the most devastating diseases in the history of mankind. In the 18th century, it killed 400,000 Europeans each year, and in the 1950s it was still infecting 50 million people a year worldwide. Routine vaccination ended about 35 years ago, which would make an outbreak today truly devastating. But an outbreak cannot happen if we destroy the smallpox that the U.S. and Russia are still holding. Back in 1999, the WHO set a deadline to destroy the remaining smallpox samples, but the U.S. and Russia have repeatedly delayed action. 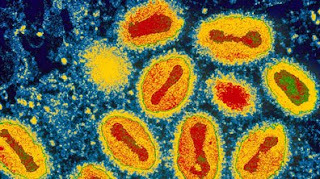 At the 2006 meeting of the World Health Assembly (WHA), virtually every country agreed, again, that the smallpox should be destroyed, but the U.S. and Russia objected, and no date was set to destroy the remaining stocks. The WHA will meet again this coming May, and smallpox will be on the agenda. Unless President Obama takes a firm stand, I expect that the U.S. will once again insist on keeping its smallpox stores. Experts such as D.A. Henderson, who led the effort to eradicate smallpox, have pointed out that we can develop new vaccines without the virus. The genome has been sequenced several times over, and we have the technology to synthesize parts of the virus if we really need it for vaccine design. Despite these facts, the old guard at the CDC will never agree to destroy their smallpox willingly. President Obama: here is an opportunity to do the right thing. You can order the CDC to destroy their stocks of smallpox, and eliminate this unnecessary risk from the planet. The United States can and should take the moral lead on this public health threat, rather than stonewalling once again at the next World Health Assembly. Destroy the smallpox, and wipe out this scourge once and for all. Smoke Sign: your argument (or question) doesn't imply that we would benefit in any way from keeping our smallpox. We already have lots of vaccine stockpiled. Keeping live smallpox only increases the opportunities for it to get into others' hands. And if others have it already, it won't deter them to know that we still have it. I don't know why but although your arguments are convincing and pretty obvious and I have no counter argument I still feel that we should keep them around, as long as there is laws about war and the ethics of it are opposed to biowarfare I think we should keep it. Sequencing the DNA does not mean we can make a vaccine from it. First of all, smallpox is a virus. And DNA does not serve as a "blueprint" for a cell as your 5th grade biology textbook told you. It's much more complicated than that. The same sequence of DNA can encode (and usually does) many different proteins. We need the actual virus to do actual research on it. Tigers are dangerous. Only powerful organizations have tigers. I know we've managed to remove tigers from populated areas, but the ones in zoos could still escape. We should stop tiger breeding efforts and kill the remaining tigers. Tomorrow we might discover that it is actually the epigenetic variation of it's the smallpox genome which triggers lethality. We might discover ... many things. Unlikely I admit. Keep smallpox in genetic zoos. Do not eradicate species. This was highly controversial at the time, and it hasn't been done again since, but it demonstrated that we could reconstruct a virus from its sequence. In addition, we can create viral proteins much more easily, using the sequence as a template. That's the main thing we need for new vaccine development. And as I wrote above, we already have a vaccine. If smallpox is dangerous to have around, why was the 1918 influenza recreated? "The genome has been sequenced several times over, and we have the technology to synthesize parts of the virus if we really need it for vaccine design"
If we have the technology and capability to recreate the whole virus (look at what Craig Venter et al did with Mycoplasma), then what is the point in destroying stocks of a virus which could be remade at any number of institutes worldwide? Recent - and perhaps future - advancements have made this debate (for and against destrcution of virus) generally obsolete and I would therefore be on the side of caution and at least have something here to work from. There is also a lot which we currently do not fully understand about smallpox and variola, for example why upon recovery we appear completely immune to future infections. Variola is an extremely good - but technically difficult - model system for this type of work. Connor: recreating the virus is very difficult, and there's no reason to do it. Destroying the virus makes it far, far less likely that an accidental (or nefarious, intentional) release will occur. Keeping it around also costs lots of money - the CDC is employing significant numbers of researchers for this. They should be put to work on other infectious diseases instead - there are plenty of other things we should be spending on money on. Steven, I agree that it is very difficult but I guess that in some 'bioterror circles' recreating this virus might seem like a very good idea. Also, you're right with the amount of money being spent on this. I hadn't really considered this. There are a lot more pressing viruses - poxviruses even (monkeypox primarily)- that should achieve more recognition and research.